LinkedIn Profile Search Engine Optimization / SEO. I recently wrote about what happens when you search for yourself on LinkedIn. Now I’d like to address what happens when people don’t search for you by name, but rather try to find people like you using “regular” keywords and titles. When it comes to Internet search, the goal for most people and companies is to be on the first page of search results for your keywords, and ideally #1 if at all possible. When you search LinkedIn with the titles you have on your profile and keywords you’ve mentioned in your metro area, do you show up in the first 10 results? Have you ever wondered if there was anything you could do to positively affect your ranking in search results when someone searches LinkedIn looking for people like you? Have you seen heavily keyword-loaded LinkedIn profiles and wondered if it really does any good? You could get lost in all of the YouTube videos and blog posts on the subject of LinkedIn profile optimization, but most of it is pure speculation. Before I go into some detail as to what I think is going on with LinkedIn search ranking and what you might be able to do to positively affect your ranking, I’d like to show you a little experiment I’ve run and ask you to do something similar and see what happens. You have searched or have had someone else search LinkedIn by the titles and keywords you used on your profile to see where you rank, haven’t you? READ MORE: LinkedIn Profile Search Engine Optimization / SEO. 18 LinkedIn Apps, Tools, and Resources. Did you know LinkedIn profiles with pictures attract 50-70 percent more inquiries than profiles without pictures? And, according to Forbes, LinkedIn profiles with photos are seven times more likely to be clicked on than profiles without photos. If you’re on LinkedIn to get noticed and make professional connections, a quality professional photo is a must. You can get the most out of your LinkedIn profile by following simple picture guidelines. 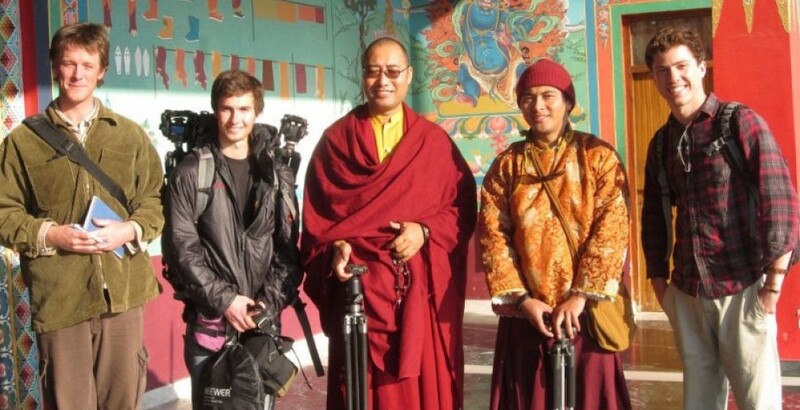 Your photo should be a clear, close, front-facing shot where you look friendly and attentive. Photos should be current as there are few things worse than meeting someone for the first time and not recognizing them because the profile photo is from 10 years ago (or longer)! If you are concerned about age discrimination, ask the photographer to capture your more youthful side, or other brand attributes that you’d rather your audience focus on. Use a photo of YOU in your profile, not a photo of an object or animal. If possible, photos should be professionally done, if possible, but not glamour shots. Don’t have other people in your photos. Do not crop other people out of your shot. Wear your most complementary color. Bright colors can attract attention, but don’t go neon. Avoid patterns. Men: Wear a dark blue or black dress shirt. No t-shirts, Hawaiian shirts, or busy patterns. Women: No t-shirts or large busy patterns. Soft, dark v-necks look great. Black always works but try to avoid white. Apply make-up professionally with a gentle hand. Don’t over-accessorize: less is more. Smile! Your face should radiate warmth and approachability. Relax. Look directly at the camera. Make sure that your eyes are open. Posture! Sit up straight with your shoulders back. Take multiple shots and ask others for their opinions photo expresses your friendly, professional nature. You want to show your energy and personality but always err to the side of conservative. Pixel size: 200 x 200 minimum and 500 x 500 maximum. Your photo should be square. Remember that LinkedIn is a professional website. Your profile picture is no exception. Creating this online identity will enhance your personal brand. By allowing employers to see your face, you are creating a visual association to your brand. If a picture is worth 1,000 words, what is your profile picture is saying about you? When it comes to landing a job, your job search toolbox should be filled with a variety of valuable tools. From niche job boards to networking, job seekers often find success through a variety of tools and tactics. One tool holding an increasingly prominent part in the job search is social media. And with a reported 94 million visits from U.S. users in December 2012, LinkedIn has become the quintessential professional social network for many job seekers. So I have to ask — are you linked in? Whether you have yet to create a profile or it’s just been awhile since you’ve updated — LinkedIn is an important tool for your job search. Your LinkedIn profile acts as the online version of your resume. Through proper use, you can use your profile to connect with people in your network, be found by potential employers or those you may have known previously, increase your online visibility, and build your professional brand. A detailed and completed profile is an absolute must during your job search. If a potential employer is reviewing your profile and finds a variety of gaps and missing information, you’re likely to be discredited and removed from the hiring process. Located beneath your name, this area is generally set by default to grab your most recent job title. Since it’s one of the first pieces of information visitors see when visiting your page, your headline provides a unique chance to leave an impression. Rather than using your current job title, use your 28 characters to creatively showcase your skills and experiences. A professional photo of yourself will set the tone for your entire online resume. Don’t scare away potential employers with your unprofessional and awkward photo. Instead, update your current photo of you in a T-shirt to something more professional. Showcasing your expertise and accomplishments is the most important element of your LinkedIn profile, and the summary section is your place to do so. Even if you’re still employed, you can showcase your know-how and personality in this section — think of it as a short-and-sweet cover letter. Be sure to utilize keywords and keep your summary focused. In the experience section of your LinkedIn profile, include concise descriptions of your accomplishments — not just your daily tasks — for every job you’re hoping to showcase. Stay away from writing dense paragraphs, and use bullet points instead. Potential employers and recruiters are likely to skim this section and may just skip over anything too long. LinkedIn’s latest skills endorsement feature places an even greater emphasis on the skills you put on your profile. While the feature is still evolving — currently you can endorse anyone for any skill — be sure to list all of the skills you’ve gained and utilized throughout your experiences, and attempt to receive endorsements to support them. Recommendations on LinkedIn are similar to references during the hiring process. Try to receive at least one recommendation from a previous manager or customer at every job you have listed in your experience section. 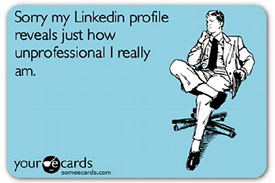 When your profile has been perfected, it’s time to kickoff your LinkedIn job search. Begin regularly taking part in LinkedIn groups related to your career or interests. You can also utilize the Advanced Search function to save up to ten job searches. LinkedIn will then notify you when jobs are posted meeting your specific criteria. If you’re interested at opportunities at specific companies, follow them to stay updated with the statuses and job postings. An updated profile and smart job search techniques on LinkedIn will give your search for an employment a unique boost. How do you use LinkedIn to search for jobs? This article, Are You Linked In? Update Your Profile For Your Job Search, is syndicated from A Hire Calling and is posted here with permission. Joining groups on LinkedIn helps you stay in touch with former or current organizations, find people with similar interests, and participate in a professional online community. Being a part of a group extends your network, increases profile visibility, and promotes your brand. You can also stay in touch with alumni and past colleagues. Do not wait until you graduate to begin networking. By making early connections with professors, classmates and alumni, you can start to build a network that will prove valuable both during and after college. Students often meet professionals at networking events and are asked to contact them after graduation. With LinkedIn you can request a connection to ensure they remember you and stay in touch. In an interview, you are expected to know about the company, but what do you know about the people that are interviewing you? LinkedIn profiles can provide useful information about employer’s job histories or backgrounds that may increase your chances of making a good impression. NACE’s 2012 Student Survey shows that nearly 25 percent of 2012 graduates used social media as a research tool. By visiting company pages, you can determine the mission of the company, the hiring process and discover what others have to say about that organization’s corporate culture. You can be a part of the 25 percent that stands out in the interview process. Conducting research on LinkedIn allows you to stay ahead of the competition and increases your knowledge and employability. 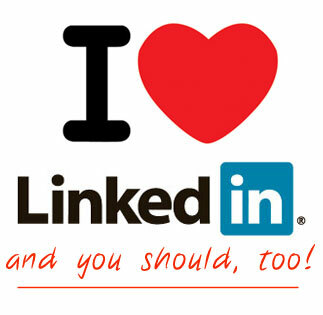 Why do you think it’s important to be a member on LinkedIn? Tell us below. There are currently 200 million LinkedIn members in 200 countries and territories worldwide. According to a 2011 USA Today survey, only 35 percent of those members are college students. Many college students assume LinkedIn is only useful while in the workforce. However, if you are still relying on old fashioned job search approaches, you are missing a chance to connect with employers around the world. Students should not wait until graduation to reap the benefits of LinkedIn but should consider joining LinkedIn during their junior and senior years. This popular networking site provides an opportunity to excel beyond the competition and break the invisible wall between you and future employers. Still not convinced? Take a look at these benefits of being a member on LinkedIn. LinkedIn profiles consist of sections that allow users to provide information about their education, experience, and skills. By creating a profile, you are showing the professional world who you are by promoting your personal brand. LinkedIn also contains features that are useful in displaying students’ skills and abilities. For instance, LinkedIn allows the user to post test scores, volunteering data, honors and awards, language skills, and certifications. By taking advantage of these features, you can show your many attributes as well as the value you would bring to the company. Having a LinkedIn profile ensures that more than just your Facebook page will show up when potential employers Google you. LinkedIn profiles generally appear at the top of online search results. Therefore, your first impression from an online search is a good one. You may also want to look into cleaning up your Facebook profile so your message coincides with your message on LinkedIn. Always remember that LinkedIn is not Facebook. Keep it professional. Do not recommend people just because you are friends. Would you put your reputation on the line for that person? Whether you are about to enter the job market or are just curious about what kind of jobs are available, LinkedIn’s job search tool can help. You can search for jobs by experience level, location, company, job function, and industry. The NACE 2012 Student Survey, conducted by The National Association of Colleges and Employers, found that approximately 41 percent of 2012 college graduates are currently using social media to help find a job. Because LinkedIn is a worldwide networking platform, it is possible to search for jobs that are located overseas. You can connect with all the major international employers and find available jobs in foreign countries. Using LinkedIn to find jobs opens a door of opportunity that would have otherwise been closed to you. Unsure of your major? 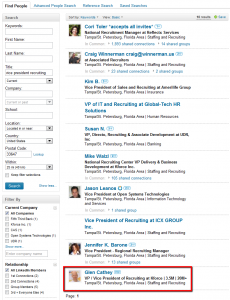 Use LinkedIn to search for companies that you might be interested in interning or working for. Then look at what current employees studied in college. Think about the organization’s corporate culture. Do you see yourself working there? LinkedIn also has a section that provides a place where members can ask questions about anything business related, from specific industries to career advice. If you are confused about the next stage in your life, get advice from alumni or professionals who have been there. For Elyse Jardine, the internship experience has been what she considers a continuous loop of learning. She applies what she learns in class to her internship and then what she learns in her internship to her classes, creating this expanding circle of knowledge. “It increases the information I learn at least ten fold,” she stated. Elyse is studying Public Administration with a concentration in International Development. This made her internship with the World Affairs Council of Montana a perfect match for her academic interests. Her main role at the World Affairs Council of Montana is to plan Academic World Quest, a competition between Montana High School Students that showcases their knowledge concerning our nation’s six top national security issues.